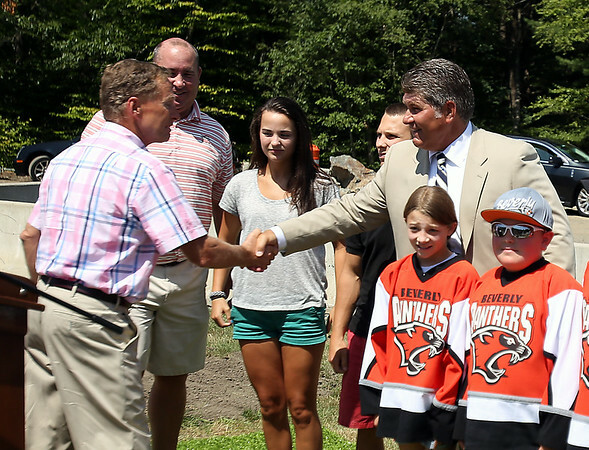 Legendary Boston Bruins defenseman Ray Bourque, right, shakes hands with recently retired Beverly High School coach Bob Gilligan at a groundbreaking ceremony for the new ice hockey rink at Endicott College, which will be named the Raymond J. Bourque Arena and is set to be completed in fall 2015. DAVID LE/Staff photo. 7/29/14.